The 2018 event was held on Saturday 21st July and is Sutherland’s largest public event. 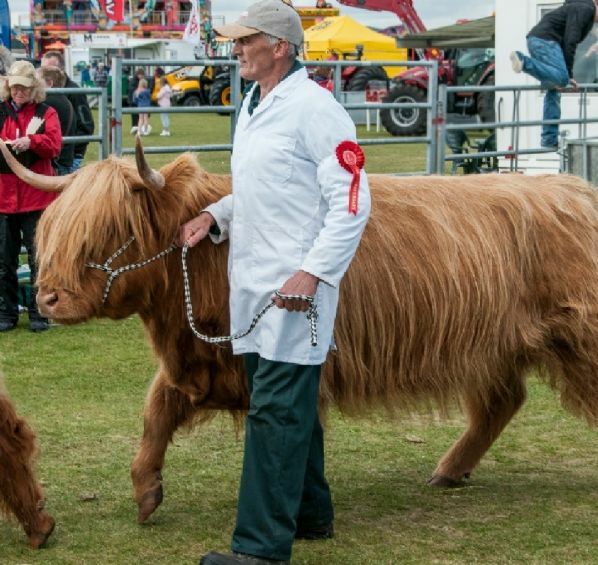 The Sutherland Agricultural Show is held on Dornoch Links, drawing competitors and visitors from across Scotland. Click here for the website. The showground buzzes with activity from early in the morning as competitors in the livestock, equestrian, handicrafts, flower show and dog show all arrive with the ground opening to the public from 10.00am when the trade stands and shopping opportunities will be open. The main ring entertainments and side shows will begin at 12.30 with a full programme including terrier racing, children’s games, pipe band parade, vintage vehicle parade with highlights the traditional Livestock Parade of champions and winners. Once again we welcome the traders who demonstrate the breadth of Highland service and produce. Hopefully there's something for everyone - that's the plan! Come along to the show and experience a taste of the agricultural scene, the beautiful local produce and a very friendly Sutherland welcome. Please see here for exhibitors information.